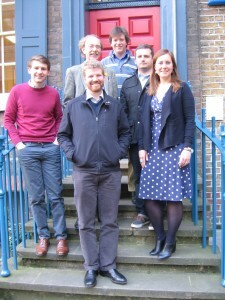 The Committee have been hard at work, organising a series of events for the forthcoming AGM in Stoke-on-Trent. We have had the good fortune to be put in touch with renowned potters Emma Bridgewater and her husband Matthew Rice, who of course are based in Stoke. They received our queries with great enthusiasm, and have made some very generous offers of visits and events which we do not think can be equalled by anything else. However, they cannot be present in the weekend previously set (that is, 5-6th September). For this reason, and not without much consideration, we have therefore decided to move the date of the AGM and Gathering. This will now be held on Saturday 26th and Sunday 27th September 2015. We do hope that this does not cause you any inconvenience, and we look forward very much to seeing you in September! More information will be published, and invitations sent out to Scholars and Friends as normal. Congratulations to the 2015 Scholars! 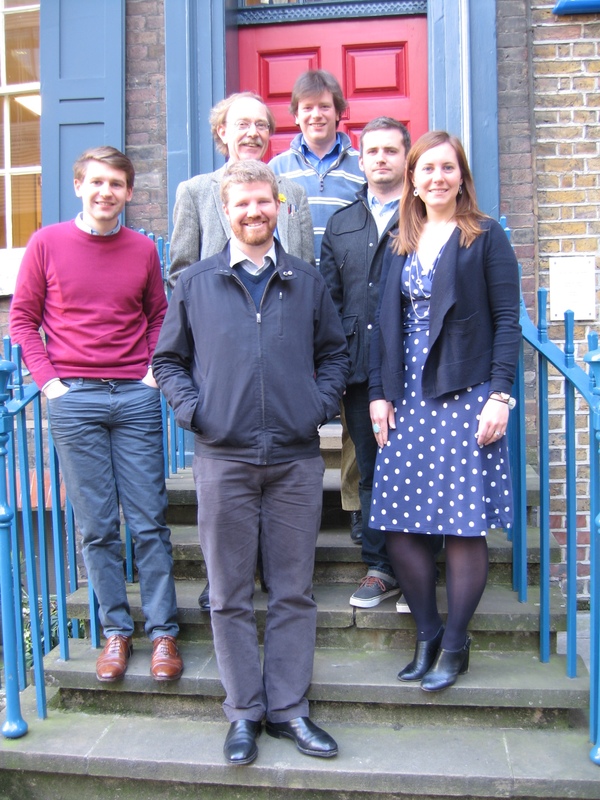 We are delighted to announce the new Lethaby Scholars for 2015, pictured above. 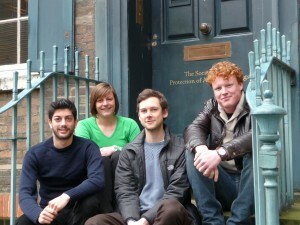 They are (from left to right) Niall Bird, David Burdon, Oliver Wilson and Joanna Daykin. 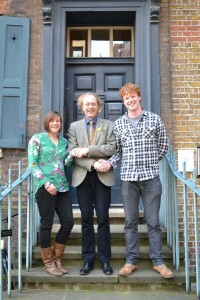 Chairman of the Trust Dorian Crone, and Secretary Hugh Conway Morris, stand behind. 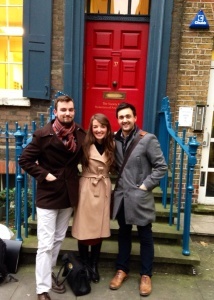 The Dance Scholarship Trust are delighted to announce that the three 2014 Scholars – Elgan Jones, Dearbhail Keating and Charles Wellingham – have successfully completed their Lethaby and Plunket Scholarships. 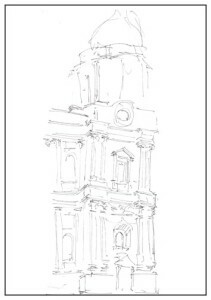 After nine months packed with education, experience and some very fine sketchbooks, our newest Scholars are looking forward to returning to full-time work in the conservation of historic structures. Good luck from all at the Trust! 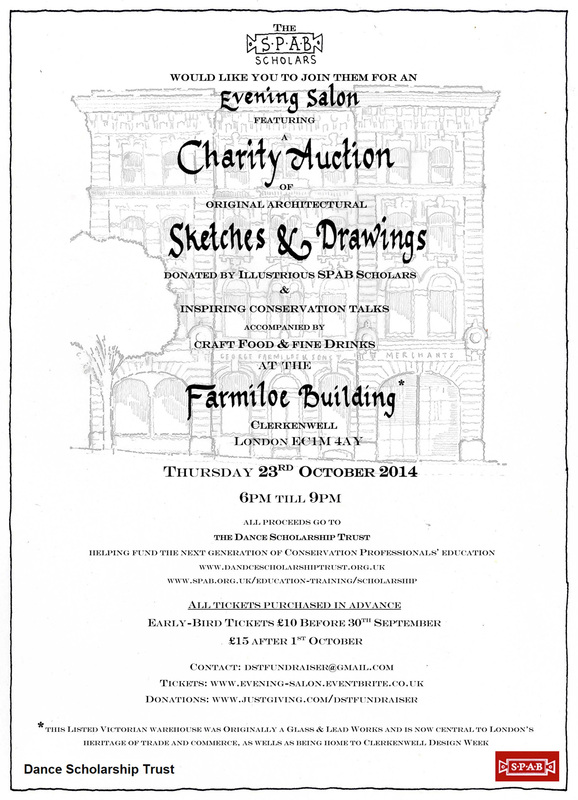 For more information, and to buy tickets, follow this link. The Dance Scholarship Trust reports in sorrow the passing of our great patron, Candida Lycett Green, who died following pancreatic cancer on 19th August this year. Candida brought a great passion and enthusiasm to her patronage, and we are proud to say that she took our mission to heart. It will be a formidable task to replace her role, and our thoughts go out to her family at this very difficult time. 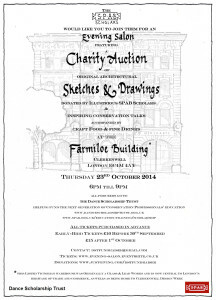 Candida’s daughter Imogen is now fundraising for Pancreatic Cancer Action, a registered charity. Anyone who is interested in donating funds following Imogen’s long-distance cycle should visit her Just Giving page located here. Further news with an excellent obituary was published in The Guardian newspaper on Wednesday 20th August, and can be accessed here. The AGM and annual gathering 2014 has been announced. It will take place in London on Saturday 6th and Sunday 7th September. Click here for more information, and to download all the forms and maps you need. 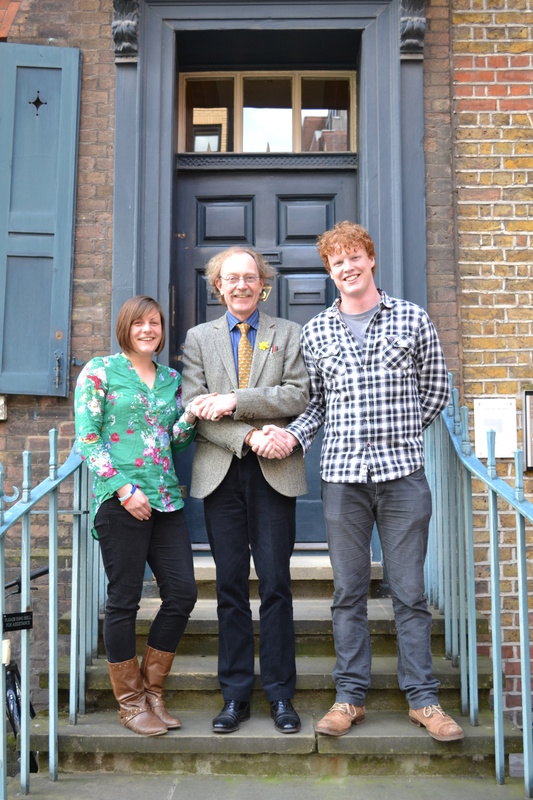 Congratulations to our new Lethaby Scholars: Dearbhail Keating, Charles Wellingham and Elgan Jones – pictured here in front of SPAB HQ as they start their Scholarship. Welcome aboard! 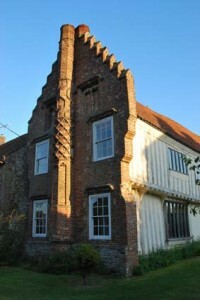 The Gathering of Scholars and AGM 2013 will be held in Methwold and King’s Lynn, Norfolk, on Saturday 14th September. For more details and downloads, click here. 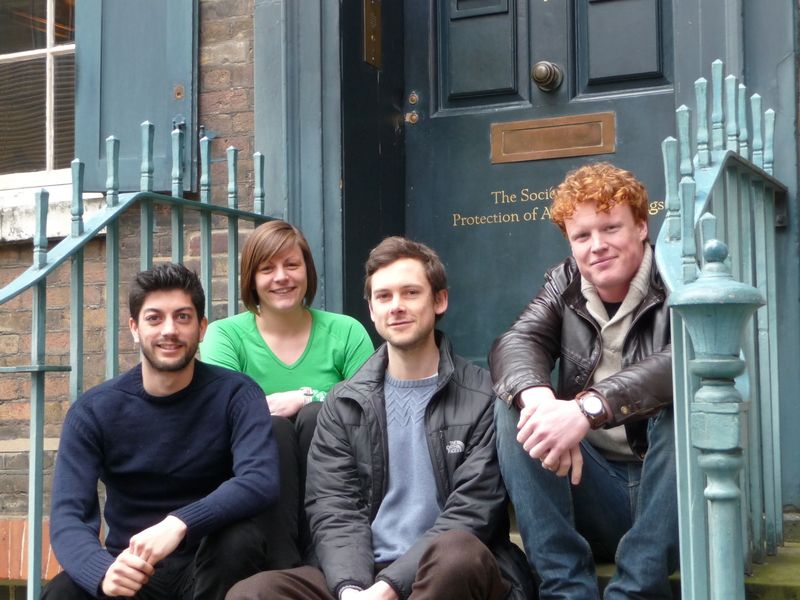 All four Scholars on the steps of the SPAB. 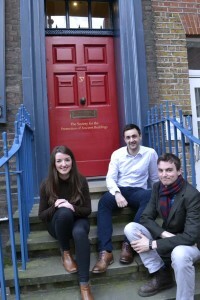 From left to right: Richard Prest, Hannah Reynolds, Ross Perkin and Conor Meehan. 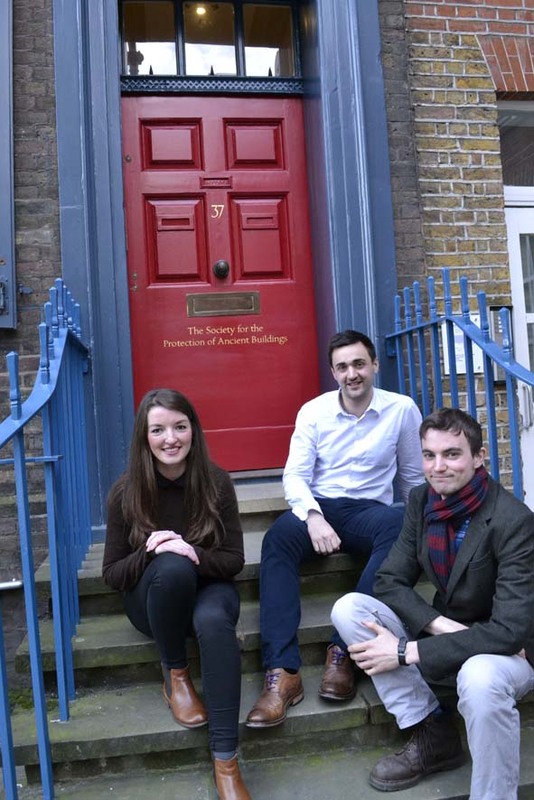 Congratulations to the new Scholars of 2013 – architects Hannah Reynolds, Ross Perkin and Richard Prest, and engineer Conor Meehan! 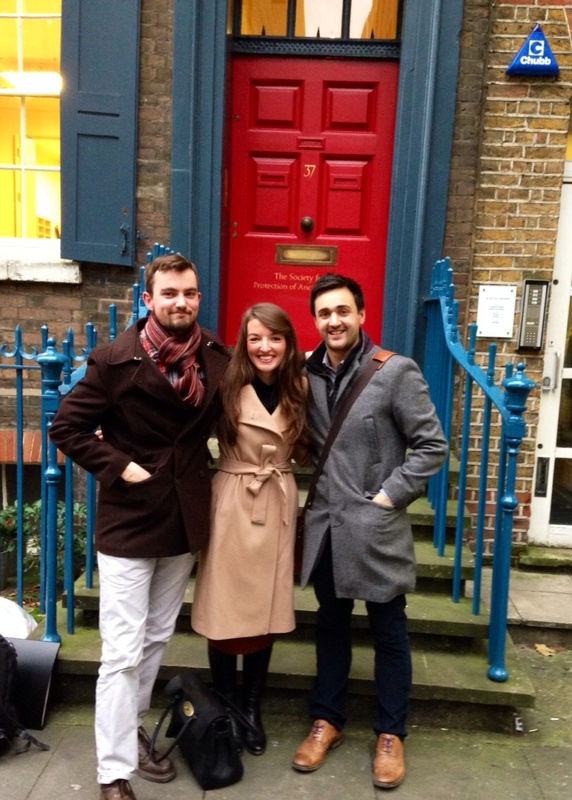 Dance Scholarship Trust representative Dorian Crone with Conor Meehan (right) and Hannah Reynolds (left), outside the SPAB in Spital Square.